Treadstone Silicone - Reducer Coupler UNIVERSAL - Dezod Motorsports Inc - Home of the automotive performance enthusiast since 2002. All Treadstone Silicone comes with 1 Million-Mile Warranty! 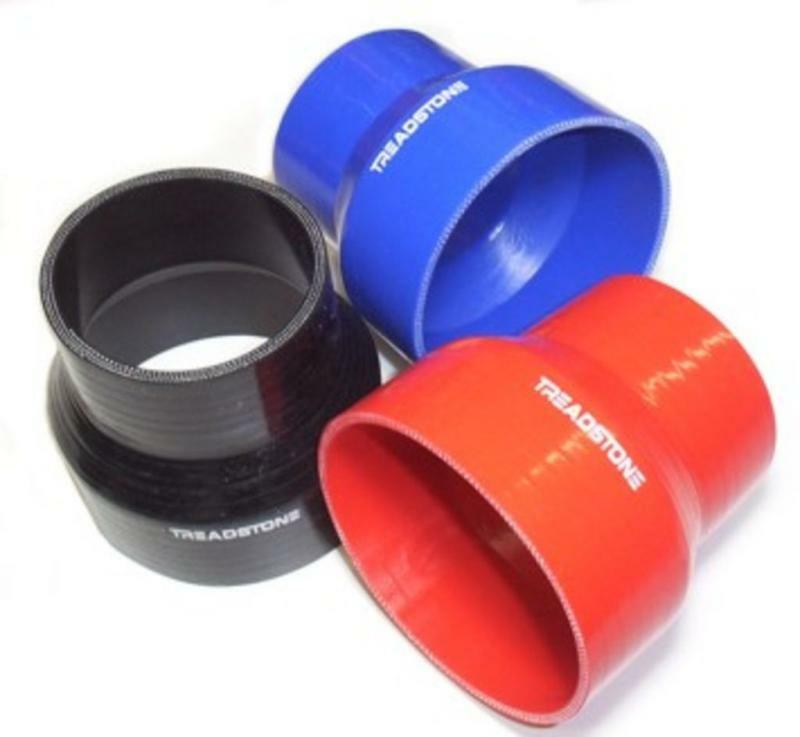 Treadstone Silicone Reducer Coupler are perfect for finishing off your turbo, intercooler, supercharger or custom intake installation. These are the highest quality silicone connectors you can buy. These are specifically design for turbocharged or supercharged applications, and feature a super slick glossy surface that is easy to wipe clean for that show quality look. 3 ply reinforced construction.